I've been trying to philosophize about the Ukranian crisis in real time. This is always hazardous. Last Saturday morning, February 22, I invited readers to look at six images representing the history of Ukraine and to suggest three more that help fill out the story we are trying to understand. The idea was to try to puzzle out new insights about the enigmatic and confusing geopolitics of this Eastern European country, which has endured terrible conflicts and sufferings for centuries. I thought this would be a worthy Zen type of philosophical/political exercise -- but I felt the sand of the mandala falling out under me when, just as I hit "publish" on my blog post, news blared out all over social media that the embattled Russian-sponsored President had suddenly fled the city of Kiev. This meant that the violent Kiev uprisings of the past weeks had turned into a successful revolution. Huge news! But I regretted having published my blog post about Ukraine's history on this hopeful and joyous day in Kiev and around the world. My blog post had a gloomy and angry tone that did not match the jubilation I even felt myself as I watched reports of Ukranian citizens celebrating on the streets of Kiev. Even so, my intrepid and erstwhile Litkicks commenters came through in the clutch and answered my challenge with several great sets of images (see the comments on last weekend's post to enjoy the selections). I was glad that Subject Sigma remembered the nuclear accident at Chernobyl, and also shared the image of a beautiful breadbasket Ukranian field that is at the top of this page. I promised to put up my own three selected images today, and I will do so. However, dramatic and upsetting events are unfolding today, as I write the final draft of this blog post on Saturday afternoon. There are strong indications that Russia is about to invade Ukraine through the Crimea, and may have already done so. A fast-changing news-flash environment is no fertile ground for philosophical thought, but I promised you three images today, and I'm not going to go back on my promise. After you look at these, please feel free to post a comment with your own three images, or with any thoughts you wish to share about the crisis between Russia and Ukraine. Here are my three images, representing my thoughts about the source and meaning of the conflict currently occurring in this country. As a descendant of Galician Jews, I can call Ukraine one of my homelands. My ancestors lived in shtetls and towns near Lvov, in the western part of the Ukraine that has often been part of Poland or Austria-Hungary or Russia, but has always been called Galicia. This is the land of Fiddler on the Roof, along with many other Slavic, Nordic or Baltic ethnic cultures. An ethnically mixed empire, the Ukraine included Jews, Ruthenians, Russians, Cossacks, Poles and Lithuanians, and they mostly managed to live in peace for many centuries. Even though many of my fellow Americans have roots in Central Europe, there is very little understanding of the political structure of this vast land. There is some awareness of the Austria-Hungarian Empire, but very little awareness of an earlier empire that was once very prosperous and progressive in Central Europe, and in which many of our various ancestors lived. I'm talking about the Polish-Lithuanian Commonwealth, which was at one time the largest government in Europe. I have recently immersed myself in reading about this little-known empire, which was unfortunately destroyed in the series of maneuvers known as the Partition of Poland. A lot of things started going badly in Central Europe after the Partition of Poland. ("Poland" was actually the Polish-Lithuanian Commonwealth, a union of two separate crowns.) What I find most inexplicable about the Polish-Lithuanian Commonwealth is that the existence of this vast, powerful empire seems to have been lost to history. Nobody knows about it. My own Jewish ancestors prospered as a part of this empire for centuries, and yet I don't think anybody in my family has heard of the Polish-Lithuanian Commonwealth. As you can see from this map, much of Western Ukraine was once part of the Polish-Lithuanian Commonwealth. This is helpful context when trying to understand later events in Ukraine. Personally, I prefer to reason why, and I would have been dismay'd if I were sent on a cavalry charge towards certain death. I guess that's why I'd never be a good soldier. Anyway, the charge of Lord Cardigan's Light Brigade took place in the Crimea at the Battle of Balaclava in 1854. If you don't know much about the horrifying genocide inflicted upon the vast population of Western Ukranian peasants in the 1930s by Josef Stalin's Soviet Union, I urge you to read The Harvest of Sorrow: Soviet Collectivization and the Terror-Famine by Robert Conquest. This genocide equals in brutality and absurdity the Jewish Holocaust that occurred a generation later, and the worst crimes of Pol Pot in Cambodia or Mao Zedong in China. The Holodomor is little known to the world ... except in Ukraine, where it is a major part of shared national consciousness. This tragic history certainly helps to explain Western Ukraine's political hatred for Russia. The trauma of a past genocide also helps to explain why Ukraine's political culture in the past century has often been violent, excessive, morally corrupt, power-driven. It is a traumatized land, and it's good that after decades of silence Ukranians have finally begun to memorialize the Holodomor. This statue is part of Kiev's Holodomor memorial, which I hope to visit some day. This article is part of the series Philosophy Weekend. The next post in the series is Philosophy Weekend: The Ashley Wilkes Principle. The previous post in the series is Philosophy Weekend: Ukraine as Puzzle. 4 Responses to "Philosophy Weekend: Images of Ukraine"
I was totally unaware of the Holodomor. In our schools many pages are devoted to Holocaust, none to Holodomor. And also none to the Polish Lithuanian Commonwealth. Omission is the best way to manipulate instruction... So I am really grateful for those two pictures. Anyway, the Commonwealth seems to have been a really progressive and politically advanced state, it is really a pity it is almost unknown. As for the charge of Lord Cardigan's Light Brigade, just now I realize I heard many times a song inspired by that event (and for me much more evocative than the lines of Lord Tennyson). Back to the Ukraine, the current situation is critical, with Russian military occupying Crimea. Maybe now a good exercise will be a sudoku puzzle about the history of Crimea, or about Putin. I will use just a 2x2 board for those (too easy for sudoku). Let's start from Ukraine. Tamerlane, also know as Emir Timur, Tarmashirin Khan. 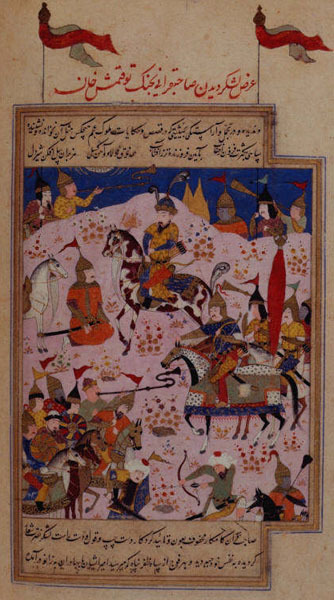 In ancient history Crimea was inhabitated by Cimmerians, Greeks, Tatars, and invaded subsequently by Scythians, Sarmatians, Goths, Huns, Bulgars, by the Byzantine Empire, Mongols until, after the destruction of the Golden Horde by Tamerlane, it became an independent Khanate; then, after years of struggle against the Ottoman Empire, by 1783 was annexed by the Russian Empire. Crimea was the scenario of a the war fought by Russia against France, Britain, Sardinia and the Ottoman Empire. The War of Crimea was just an act of Balance of Power, but had far reaching consequences and left a devastated region. Crimea was also the battleground of the final clash of Russian Civil War. White Russians held their last stand against the Bolshevik Red Army; the defeat of the White general, Pyotr Vrangel, allowed for a huge massacre of White Russians and marked the total victory of the Red Army. Again during WWII many battles were fought on Crimean ground; the region was occupied by Nazi forces and then freed by Russians; after that, Stalin deported the entire population of Crimean Tatars accusing them of cooperation with Nazis, and completing the ethnic cleansing deporting also Greeks, Armenian and Bulgarian inhabitants of Crimea. 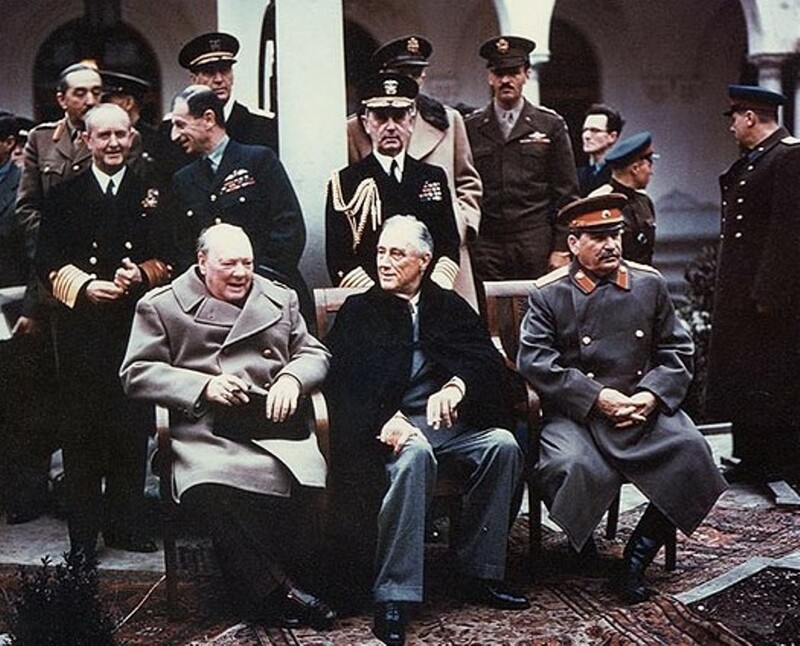 After the War, Crimea hosted the Yalta Conference, where Crimea was recognized as a Russian province, then transferred to Ukraine. And now, I will be much quicker about Putin. 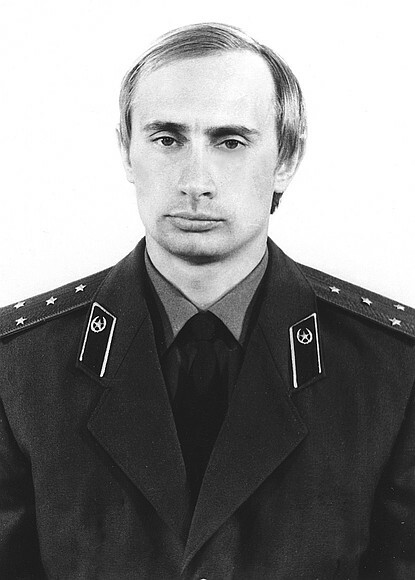 Before entering politics, Putin served in KGB, stationing also for five years in East Germany. Putin always tried to give an imagine of "macho", and he was quite consistent with it: he employed the russian military many times in Chechnya, Ossetia and now Crimea. Putin has been accused many times of being non-democratic, almost totalitarian. 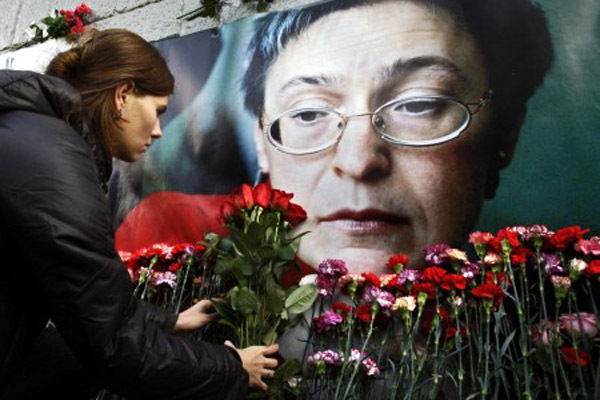 The murder of Anna Politkovskaja, his third time premiership, the government of Medvev, his puppet, cast more than a shadow of doubt. Also Sochi winter Games were used as a mean for gaining a political advantage. What do we have to expect from this man? My fear is that he will not stop until Crimea secedes from Ukraine and is declared an independent state, that will be a puppet-state in his hands. I hope I did not strayed too much from the original intent of this blog... and I think we still need to work on the method! The title of this article is "Images of Ukraine". The images on BBC of the Crimean invasion over the weekend have been armored cars and helicopters in the air. Now the Russian flag is waving over Sevastopol? The BBC now says Russian troops have gained control over Crimea. The image is infantry soldiers marching alongside vehicles. US Secretary of State John Kerry--the image is a talking head--warns of sanctions, as if the American Navy's 6th Fleet can't be dispatched? None of the images on the TV appear peaceful. Wjwiippa, I think the sense of alarm you are expressing is the same alarm everybody who is thinking about this situation right now is feeling. I am glad you are reminding me that we need to return to "the method" I hinted at in my Philosophy Weekend blog post about "Ethical Sudoku" two weeks earlier. Well, I was obviously diverted from my original intention when the Ukraine crisis broke. It is beyond my skill to think like a puzzle-solver while I'm watching highly dramatic and concerning news flashes arrive on TV. I've fallen back to the "gathering evidence and information" phase of puzzle solving. Looking at significant images representing Ukraine and Russia's past will orient us towards solving the puzzle. If things calm down in the next few days (this is actually not likely!) we can return to the discussion of the method. I do have something in mind to take us to the next step. At this minute, though, I'm watching the news. Seems to me that if we let Russia “purchase” Crimea, with Ukraine’s “bad debts”, then that would solve the whole question. Hey, no one tells the USA what to do about Puerto Rico. A drunken Khruschev deeded Crimea to the Ukraine in 1954 as a gift, when it was part of Russia. So what if Russia is getting it back? I say stay out of the whole thing. Obama, et al are barking up the wrong tree. Just get Russia to expunge Ukraine’s debts & call it even. First comment on “Lean Left” on March 21, 2014.